It’s Wednesday afternoon here in Bandung. 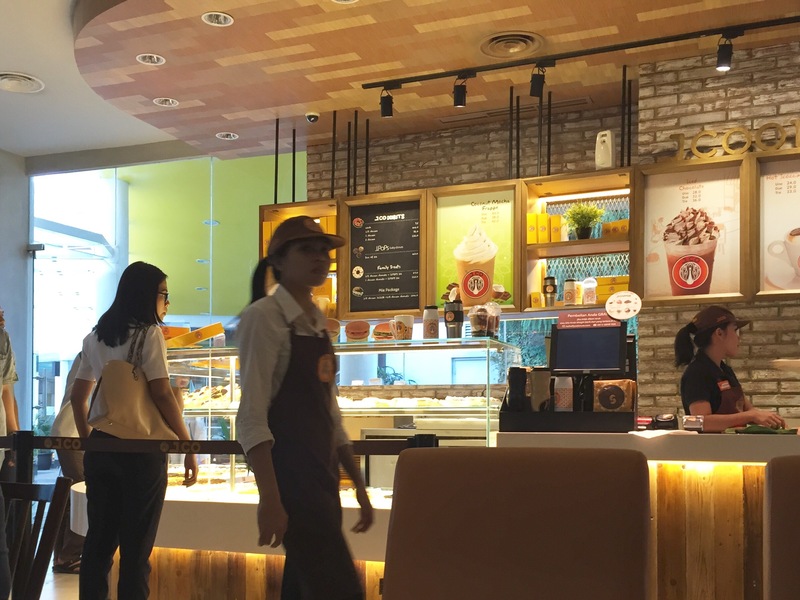 Sitting here at our favorite western-style-coffee-donut chain not named Dunkin’ Donuts or Starbucks, neither an Iced Hazelnut Latte nor a Choco Forest J.Cronut (see Wikipedia under “chocolatey, croissanty concoction created by the Devil”) can break my funk. I’m irritable. I’m snapping at Laura and the kids for the dumbest reasons. Frankly, I need to get a grip. It wasn’t the 3-mile walk we just took through back-alleys, a graveyard, and countless stares from the locals. We’re quite used to sticking out like sore thumbs and we’ve really come to love and appreciate the beauty in that which we once considered messy. It wasn’t the nasty snarl of moto and mobil (car) traffic. While crossing the street was particularly hairy this afternoon–no doubt due to the many people scrambling in preparation for Lebaran (or Idul Fitri, a major Indonesian holiday)–it was way more fun than stressful. Kamaile even mentioned how much she prefers traffic here over what we experience in Seattle. Heck, it wasn’t even the heat. If you’ve been following this blog for the past few months, you know how much I like to complain about heat, humidity, and my sweat. The high today was 82F with 81% humidity. Funnily enough, I didn’t even mind. As I write, I’m suddenly realizing that I’m grouchy because this SE Asia leg of our Family Sabbatical is about to come to a close. 4 sleeps and we head back to the states. I’m excited to go home and see family and friends. I’m excited to eat decent Mexican food. I’m excited to sleep in my own bed and shower in my bathroom. I’m excited to have people over for BBQs and s’mores by the fire. I’m excited for some of the creature comforts that my comfortable First-World life affords (e.g. Hi-speed WiFi, my huge 4K HDTV, playing Destiny with Trey, etc.). On the flip side, I’m sad to leave Waldemar and Rosemarie Kowalski, Pauline, Josie, Friska, Pak Asep, Ibus Assih and Apong, the Street Kids at Stasiun Hall (more in a future blog), and the many other new friends we’ve made during our time here in Bandung… I’m also frustrated that we didn’t make more progress connecting with potential local partners for the Kowalskis. So, yeah… this is more of a vent than a blog, which at least would have the potential to be valuable to you. Regardless, I’m trusting that if you’ve read this far you can handle it. I’m also trusting that we’ve made and will continue to make the right decisions. For as long as Laura and I have been together, things just have a way of working out. God is good. All the time. Go and visit. Stay and connect. This is one of the tag lines (or themes) which we’ve used as a family to help guide our journey from the moment we first decided to embark upon our Family Sabbatical. 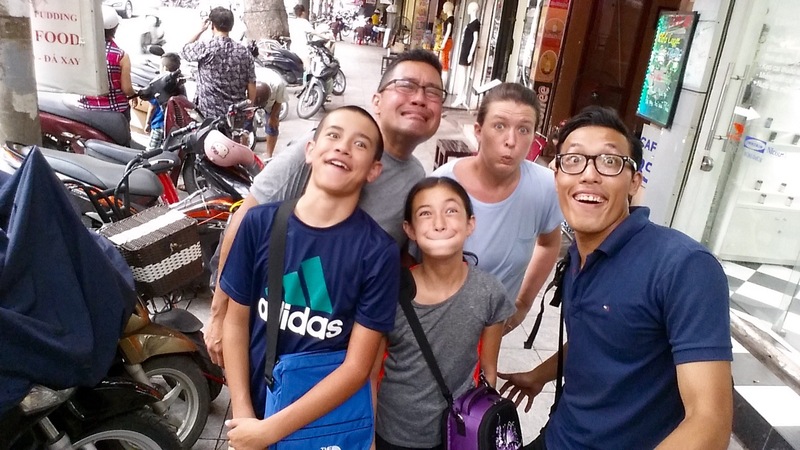 However, going into our recent Indochina Peninsula Tour, we knew that the jam-packed schedue (4 countries, 15 cities in 25 days) would make connecting with locals challenging. One of the unexpected joys of the tour turned out to be the local guides whom served as our Hosts in their respective cities/regions. They were our Teachers, providing cultural and historical context to the many sights, sounds, and experiences. They were our Guardians, giving expert local advice on how to avoid shady people, places, or situations. Some even let down their guards enough to become Friends whom we look forward to someday hosting in Seattle. Gai was our guide in Bangkok and Ayutthaya, Thailand. She was energetic, she smiled with her eyes (you could even tell through her sunglasses), and her manner reminded me of some of my Aunts in the Bunda Clan. Gai was a proud Thai–she even mentioned that she wished the country were still called “Siam” like it once was. 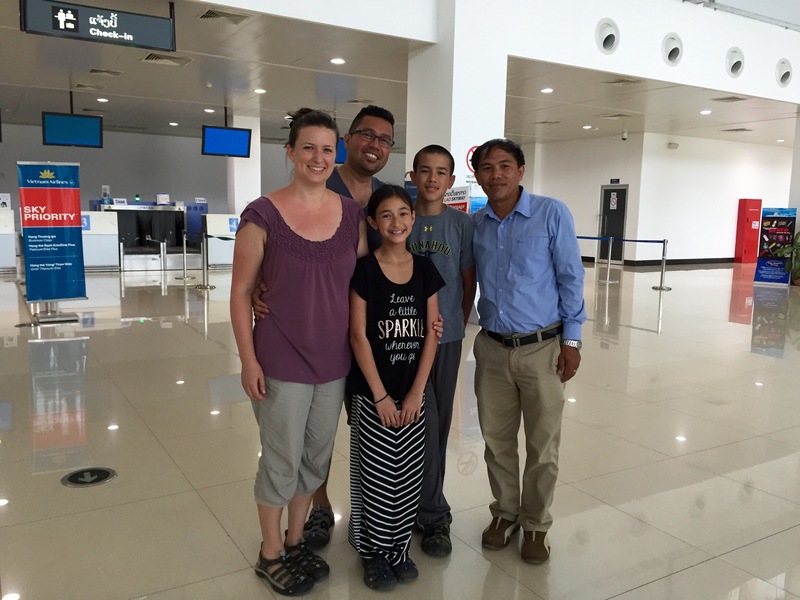 She lived in the U.S. (Virginia) a few years ago, but decided to come back after 3 years because she missed her country and “her people.” Gai was a devout Buddhist. Her knowledge in that arena came in handy as we visited more temples during our time with her than at any other time on the tour. Gai quickly gravitated towards Kamaile took extra care to ensure that she understood what she was seeing. Kay was our guide in Chiang Mai, Thailand. At first, I assumed that she was an introvert, but I realize now that any guide would seem that way to us right after Gai. Kay actually had the same laid-back demeanor that many of the people in Chiang Mai seem to possess. Like many guides, she herself is an avid traveler. 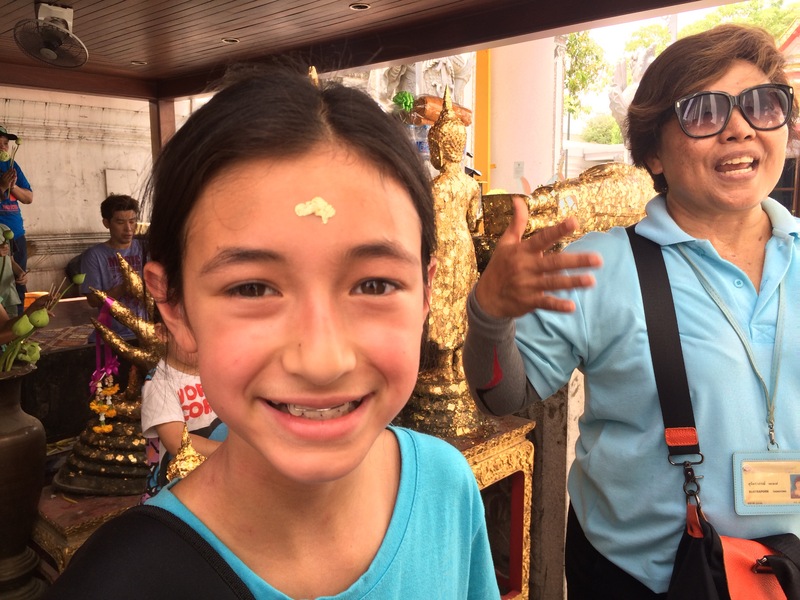 Kay took particular interest in Trey–commenting a number of times on his height, as well as the fact that “many Chiang Mai girls will be interested in him when he comes back in a few years.” Too funny. Kay was paricularly good at helping us get unique experiences (Tigers!) despite the fact that we were in a number of tourist-infested places. Sengphone was our guide in Luang Prabang, Laos. He lives with his wife and kids in Luang Prabang, but is originally from a mountain village near the Chinese border. When we first met Sengphone, I remember thinking that he had the calm, gentle disposition of a monk. Shortly thereafter, we learned that he, like many poor boys from the countryside, joined a monastery when he was 13. Sengphone went on to explain that his primary motivation for joining was Education (there were no schools in his village), followed by bringing prestige to his family, and finally for religious purposes (his own). One thing I really appreciated about him was the way he actively partipated and/or taught when we visited local craftspeople in their villages. Sengphone came across as someone who could actually make the mulberry paper or silk cloth himself, not just talk about it. 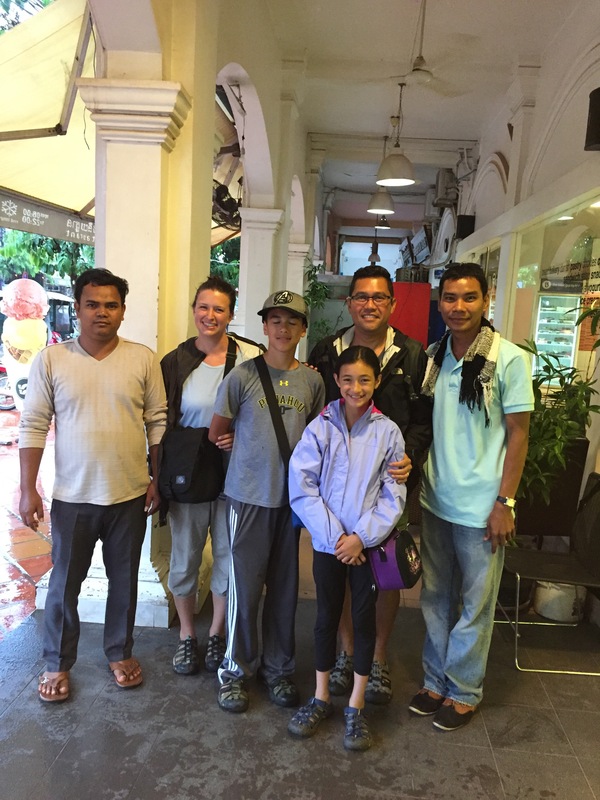 Finally, being a father himself, Sengphone was also very good about reading the kids’ moods and energy levels–suggesting modifications to our time in Luang Prabang to better suit our needs. Jay was our guide in Hanoi, Vietnam. 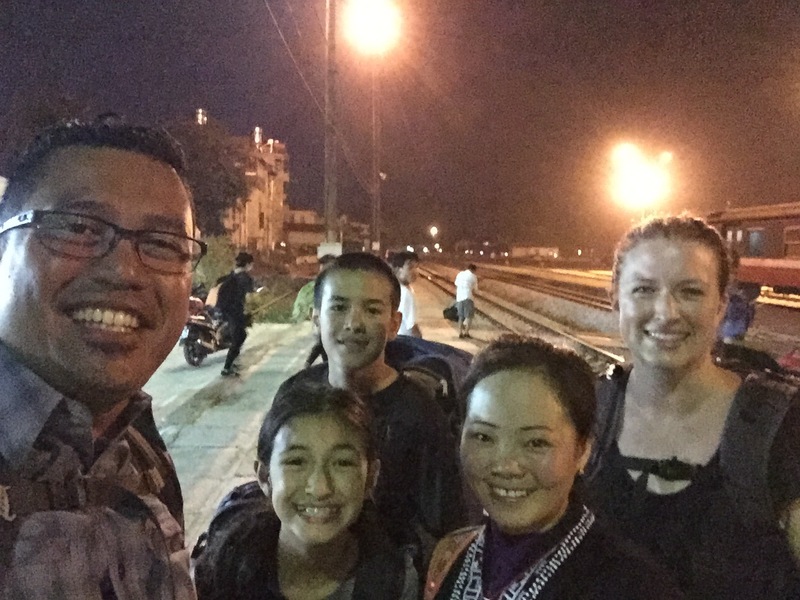 We arrived pretty late in the evening prior to our Hanoi Bike Tour, but he still took it upon himself to greet us and try to gauge our excitement about the next day. His given name is Giang, but he introduced himself as “Jay, like Jay Z.” Needless to say, I had a good feeling about him. Our bike tour itself was tough. We nearly quit after Kamaile crashed within the first 20 meters of our ride out of the Old Quarter. The fact that we were already exhausted, fighting crazy heat and humidity, and in a very hectic, new place was not a good combination. After about an hour of riding, I was about to call it a day. Jay suggested that we just sit and chat under a tree to cool off a bit. 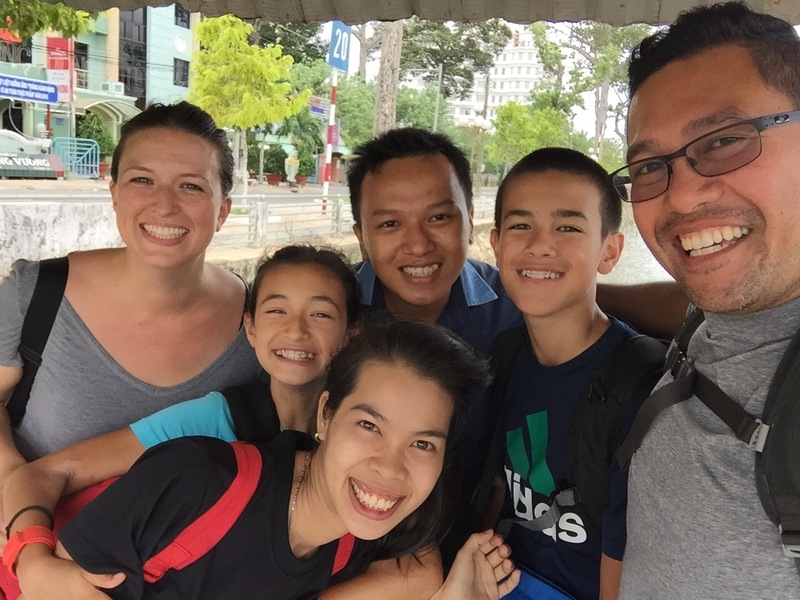 In the next 40 minutes, we engaged in an amazing conversation about Jay’s hopes and dreams for the future, his struggle to keep up with his peers (the Rat Race is alive and well in Hanoi, too), and the role of faith (or lack thereof) in his life, which he initiated 100%. He then invited us to ride to a neighborhood well off the beaten path to see how he and “most people in the city live.” I believe the only reason he felt comfortable enough to to bring us there was the very unscripted conversation that we’d had just before. What a privilege! Thuy was our guide in the mountain city of Sapa, Vietnam. She was easily the most reserved, even close-vested, of all our guides on the tour. Thuy fascinated me for a number of reasons: 1) She was from the Red Dzao tribe and dressed in traditional clothing every day, whether or not she was working; 2) She talked openly about her views on the courtship (previously non-existent, now Facebook vetting is acceptable) and marriage practices for the Dzao, as well as the many Hmong tribes in the area (still arranged, but at least kidnapping your potential bride from another village/tribe is no longer common); and, 3) She shared less about herself than any of the other guides on the tour despite our best attempts. During our last 30 minutes together, she finally spoke a little about her husband and son. Toan was our guide for our day trip to Ky Son Village (outside of Hanoi, Vietnam). He was a humble man whose parents met in another village while his father was part of the Viet Cong. As the story goes, once the Vietnam War (or “American War” as they call it there) was over in 1975, his parents chose to move to this farming village to start their new life. Toan grew up as a farmer as well, but when a businessman from the city bought up property in his village to create a museum/resort for visitors, he jumped at the opportunity to earn money in a different, less physically strenuous manner. His English was good, as is, but even more impressive to me when we found out that he learned primarily by talking to visitors (as opposed to the formal training that each of the other guides received). 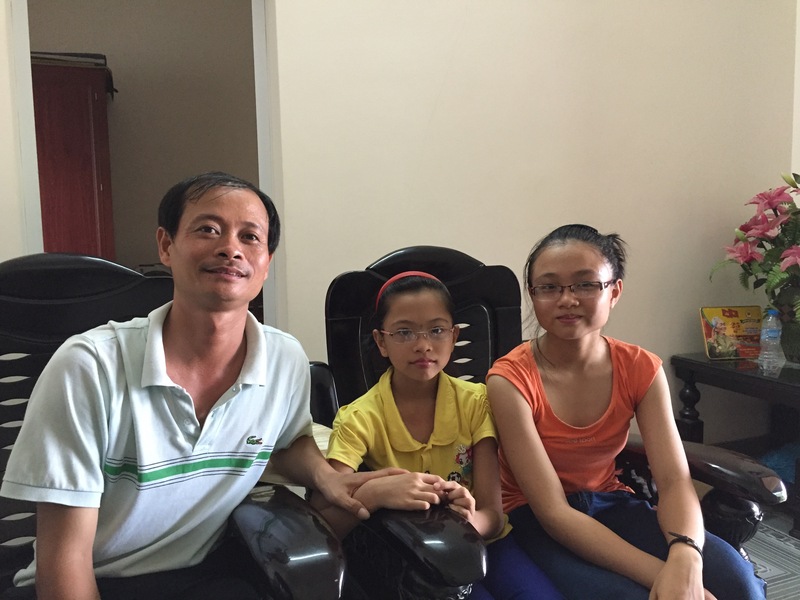 Toan was proud of his village and that pride was only surpassed by that which he felt for his 15 and 10 year-old daughters, Ngoc an Linh. He even brought us over to his house for a few minutes so we could meet them and share tea together. Ty was our guide in Hoi An, Da Nang, and Hue, Vietnam. He was a nice guy that was very proud of Central Vietnam–especially his hometown of Hue. More so than any of the other guides on the tour, Ty took a long time to grasp that we were not the type of people to passively just go wherever the itinerary said (or, worse, wherever he wanted). Ty also had a couple quirks which were sometimes irritating, and at other times funny. He did not seem to prefer talking and walking at the same time. Coupled with his habit for repeating a concept 2-3 times at minimum, this meant we spent long stretches of time standing in the hot sun listening to him lecture through a thick Vietnamese accent. The poor kids really struggled to pay attention. I think he finally got the picture on the 2nd day, when I would put my arms around the kids and just start walking off in a direction as soon as he started repeating himself. To Ty’s credit, things started to go much more smoothly after I took him aside a couple times to specifically explain that we had limited attention spans and only enough energy to see the specific things which interested us. Lot was our guide in Ho Chi Minh City (Saigon), Vietnam. The amount of fun we had with Lot may have even surpassed our experience with Jay. She was quirky, funny, and a bit of a jokester. At the end of our first day, she said flat out that we’d be seeing another guide on the second day. When I tried to give her a tip, she quickly ducked away with an awkward goodbye. Lot then returned the next morning but introduced herself as Lot’s sister and tried to keep it up for a few minutes. What?! LOL Lot also treated Kamaile and Trey as if they were her niece and nephew–with that familial mix of fun, protectiveness, and even some correction when warranted. I know that she made the kids’ experience that much better. Goofing around with Lot and Ut, our day guide in Ben Tre (Mekong Delta). BTW, I’m not supposed to say anything, but I’m pretty sure Lot is waiting for Ut to ask her on a date. Proney was our guide in Siem Reap. Heat have been the most compelling of all of our guides. Like Sengphone, Proney spent time during his teenage and early adult years as a Buddhist monk. Like Toan, war was a part of Proney’s history–just much more recently. When the Khmer Rouge was in power, nearly 1/4 of Cambodia’s population was killed. Most of those people were the well-educated (doctors, lawyers, businessman, and civic leaders); and, in the eyes of Pol Pot, capable of organizing resistance against the Khmer Rouge. As time went on, young boys (especially those from poorer families) were often forced to fight for the Khmer Rouge. For a short time, until he escaped, Proney was one of those soldiers. Risking great peril, he eventually snuck away and joined the relative safety of a monastery where he learned about Buddhism, as well as the English and Japanese languages. Proney mentioned that many of his immediate family members were not so “fortunate.” His father was shot by soldiers one day while farming–apparently mistaken from a distance as a resistance fighter. Proney also lost 2 siblings to some of the many land mines which still plague parts of the country. Unbelievably, he lost 2 more siblings to starvation. With very little outward emotion, Proney told me that his story was not special; that “everybody lost family.” Proney now treats his profession as a calling to help bring prosperity (via tourism) and stability (via educating others) to Cambodia. Stunning. Heartbreaking. Inspiring. 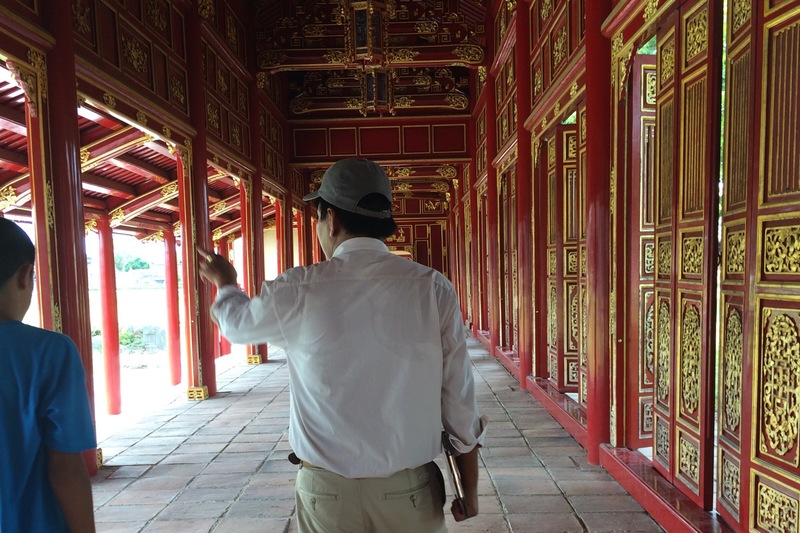 Thank you to ALL of our guides for your part in making our Indochina Tour a life-changing experience. Thank for giving us glimpses into your lives and teaching us about your cultures. We are forever grateful! …on them from five countries I never thought I would visit. It never occurred to me to see Thailand or Indonesia. 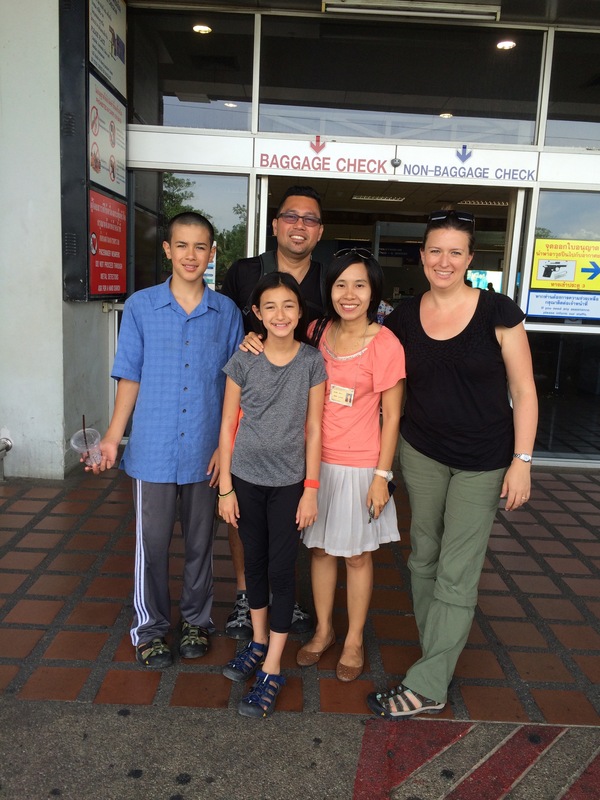 When growing up, it was crazy to think of one day traveling to Vietnam, Laos or Cambodia. Now I have been to all of these. My tongue has tripped to say thank-you in those languages as it has appreciated the tastes of so many new dishes and flavors. Who knew you could prepare rice in so many ways. My eyes have seen amazing ancient wonders and sites of horrible human atrocities. We saw signs declaring areas now clear of landmines. We spoke to people who had parents imprisoned and “re-educated”. We climbed over temples and grounds a millennia old. My ears have grown used to ignoring the sounds of unfamiliar languages that mystify me and perking up when I hear any English. Mosque prayer calls, the ringing of a bell in a Buddhist temple, chickens and roosters all hours of the day, and someone always trying to sell me something are all in this month’s soundtrack. 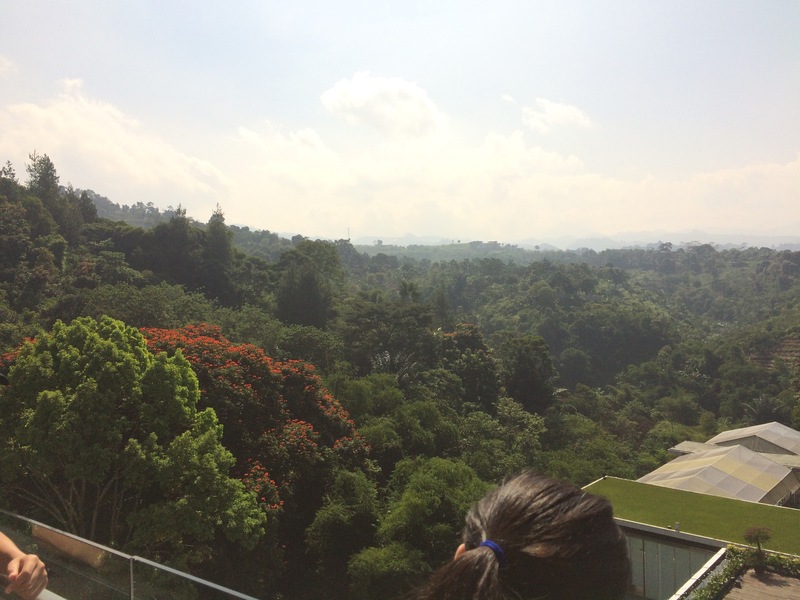 The next phase of our adventure has us in Bandung for a few more weeks. I am looking forward to many more new experiences and friendships. * Editor’s Note: This is the first post in nearly 3 weeks. If you follow us on Facebook or Instagram, you know that much has happened since then. Be on the lookout for a series of posts from all of the #SeattleBundas capturing some of those experiences in the coming days. Thanks! Today’s experience on the way to, as well as at the airport was a strange one! We arrived at the airport in a shuttle that delivers us from our hotel. Picked up at the lobby near the front gate, we made our way around the hotel to the other lobby to pick up more passengers. So far, so good. After a few more tight passes (one involving a bridge with no side walls and another large vehicle), we turn into yet another dirt “road” and scrape the gate as we turn off. At this point I leaned over and told Trey that I was really glad we were on the way to the airport: if someone had picked me up at the airport and taken this route to the hotel, I would have thought for sure that we were going to be bad news headlines. He totally agrees. Eventually we turn back into a track that we would all acknowledge as a road and are delivered uneventfully at the airport. Upon arrival, we checked in at the kiosk and pass through a light security screening. We were three and a half hours early for our flight and do not see a gate assignment so we decided to sit and have a coffee. We wasted some more time and played each other in our new favorite family pastime, the Monopoly App. At two hours to our flight, we still don’t see a gate listed for our flight. Hmm. Strange. Well, we decided to go ahead and go upstairs to where the gates are. Oops! We haven’t gone through the real security OR immigration yet. With hearts pounding a little faster, we hurry over. Thankfully, there aren’t many people in line at all. Only two people in front of us in the immigration line and we pretty much walk right up to the screening area of security. We are so practiced at this now! I am very proud of the kids and how they have been able to stay organized and go right through with minimal fumbling with gear. Yay us! Phew, we’ve made it through, no problem, plenty of time to spare. There are lots of seats around. Paul checks at the desk to be sure we are in the right place. OK, we can relax again. After about 40 minutes or so, I walk over to the window to check things out. Huh, I notice that I only see airplanes from a different airline…then I notice that there aren’t any jetways attached to the building. 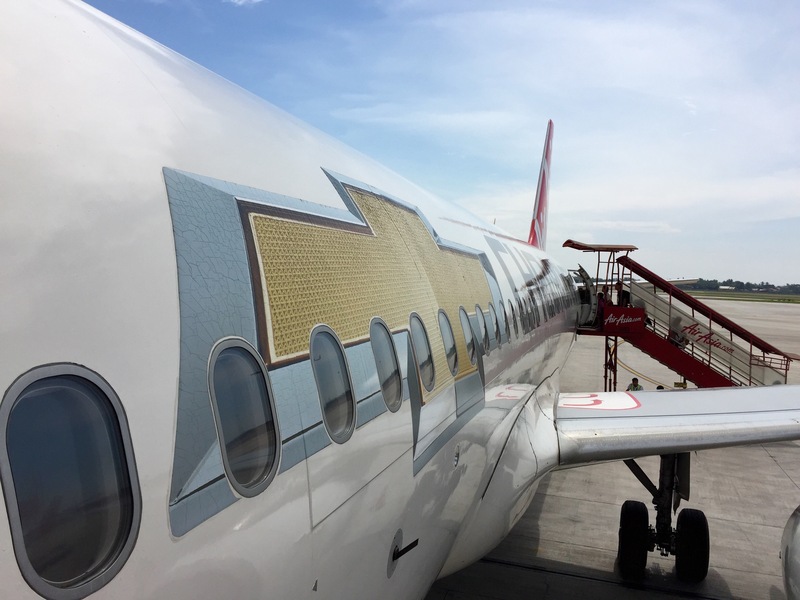 I do see a bus driving around the tarmac with the airline label on its side. I wonder how this is going to work?! I walk around the area and find a flight of stairs that are roped off and a turned around sign indicating our airline and boarding rows. Just then I see a group of flight attendants approach and had down those stairs. Ok, maybe we are in the right place. We are flying in Priority seats this time and get to go through almost first. Down a flight of stairs, we arrive at a door to the tarmac at an obvious loading area, but no bus. We wait a few more minutes and one shows up. We climb aboard and ride around for several minutes to the new terminal that is under construction. Yes, the terminal is under construction, but planes are all lined up outside like it is already completed. The kids are so excited that we get to climb up the stairs to load the plane…just like President Obama! Or something like that. Air Asia flight, brought to you by Chevrolet. What a weird airport morning. Sometimes you just have to laugh at how things eventually work out and thank the Lord for His protection! Now, we turn our sites on Thailand, beginning with Bangkok. I hope they are ready for us crazy #SeattleBundas! On Saturday we visited Josie, the Kowalski’s friend and language tutor, and her family! The street that they lived on looked like many of the neighborhoods around here, with a mix of broken concrete and rubble. When we got inside, we learned that the house had been recently remodeled, but the main room was designed to look like the old house that it has been many years ago. The walls looked like many kids had already had their effect on it with nicks and stains all over the place. It was really cool! Once inside, we were greeted by Josie’s family and a FEAST of food. I thought they were celebrating Jesus’ ascension into heaven (aka Ascension Day), but they were actually celebrating Josie and her mom’s safe return from a 3-week Europe trip. We asked Josie who made the food, and her mom had made it all! Turns out the mom had once been a caterer during part of her career. Throughout lunch guests kept arriving. Somewhere in the middle of the meal one of Josie’s friends, Pauline, arrived (you will hear of her later). There were many different foods. There was Nasi Kuning (yellow rice), Nasi Udok (white coconut rice), noodles, and many other assorted foods that were all very tasty! One of my favorites was the beef or chicken (I don’t remember which!) that was decently spicy. Another was the small noodles that were yellow/orange and it was amazing! I think it was called Bihun. I really hope I can find it at home. The next day, I actually woke up sick, but I’m sure it wasn’t related at all. My stomach hurt and I also felt nauseous, so everyone went to church except me. I basically just stayed at home and slept/read the entire day. I was not happy with this. Miss Rosemarie stayed with me through the day and I was very thankful for that. The next day I felt a lot better than I used to, so I got out of bed. We basically had a chill day on Monday since I was still recovering, so nothing much here. IT HAS BEEN OFFICIALLY ONE WEEK ON THE ROAD!!! 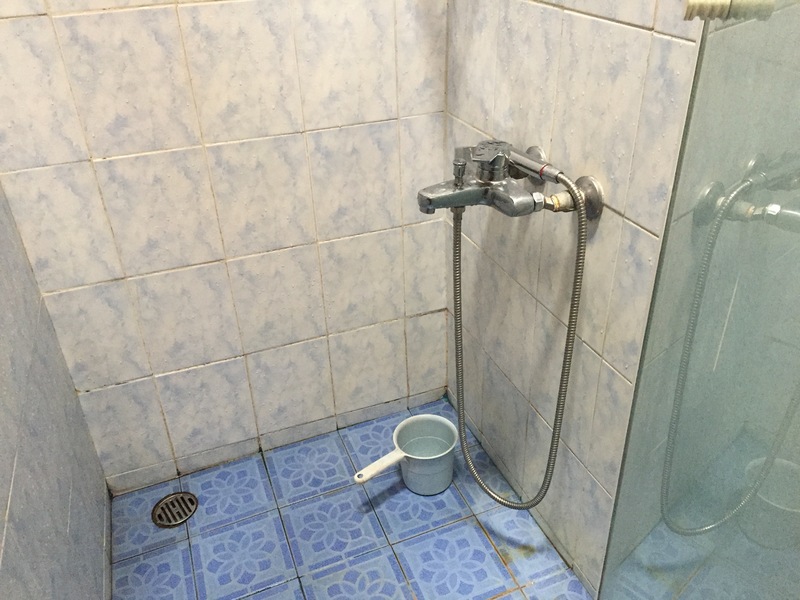 I can’t believe that I have gone one week without a continually hot shower! No, seriously, I haven’t had one good hot shower for a whole week. It stinks. I have only had hot water once for fifteen seconds, but it’s not really anyone’s fault. We believe the reasons are that we only have tiny water heaters and that most people who live hear take showers in the evening because you get sweaty during the day. On Monday, we went on a HUGE walk through town. We went to a store called ACE (just like back home) where they sold a bunch of households fix-its, everything from showerheads to toilets to basketballs. They had a ton of stuff. They even sold POPCORN if you wanted to eat while shopping. At the very front there was this restaurant called Chatime and we had cold tea with tapioca bubbles in it. We also went to a bunch of other stores and other places, but I don’t remember the names, so 😔. On the way back we took a taxi/taksi and I sat in the front seat since it is proper for a male to sit in the front. It was really exciting since our taksi driver knew how to cope with the traffic here, with the monkeys riding bikes, and the motorcycles weaving in and out of traffic. I know I’m a week behind, but I’m working on catching up and being more timely. 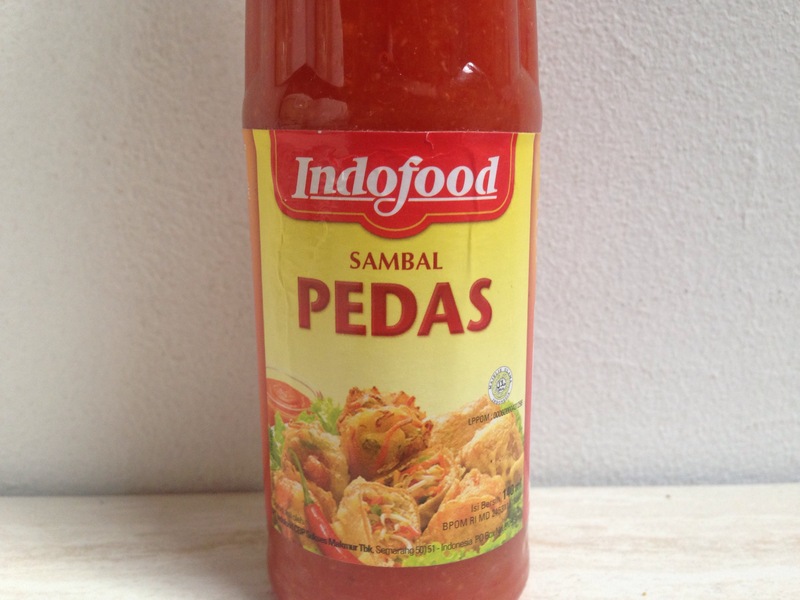 So, our first couple of days here I noticed a lot of differences between the U.S. and Indonesia. Another thing that’s different and sort of fun is that some of the companies here have names that have to do with their location. For example, when we were driving through Jakarta I saw a store called Transjakarta. Unfortunately, I didn’t get a picture of that, but I did get some photos of some other companies! 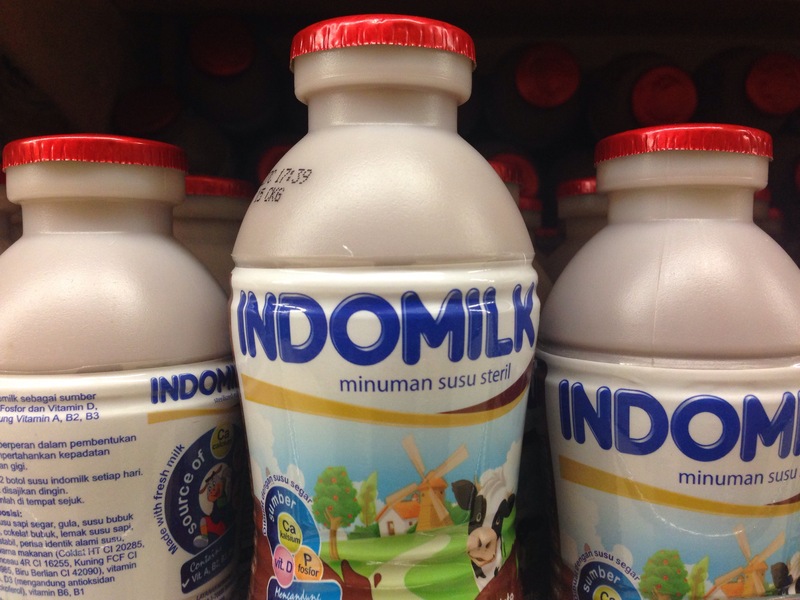 INDOMILK … some brand of milk . The third thing is TRAFFIC. Oh. my. word! It’s crazy!! !😳🚙🚘🚗🚕🚖 People don’t really stay in the lanes and kind of swerve around other cars to get to the place they’re going a little bit faster. Let me rephrase that: People don’t stay in their lanes and when they do it’s not for long! And people will swerve around other cars to get where they’re going a little bit faster, especially motorcycles! Man, if you’ve gone to California and you didn’t like how the motorcycles drove on the lines, you won’t survive here!😝 The motorcycles ride on the lines, drive on the opposite side of the street than they’re supposed to be on, go on the sidewalks even when it’s crowded, and sometimes they have up to families of five squished on the same bike. Haha! I bet you guys think this is bad , but it gets way worse. 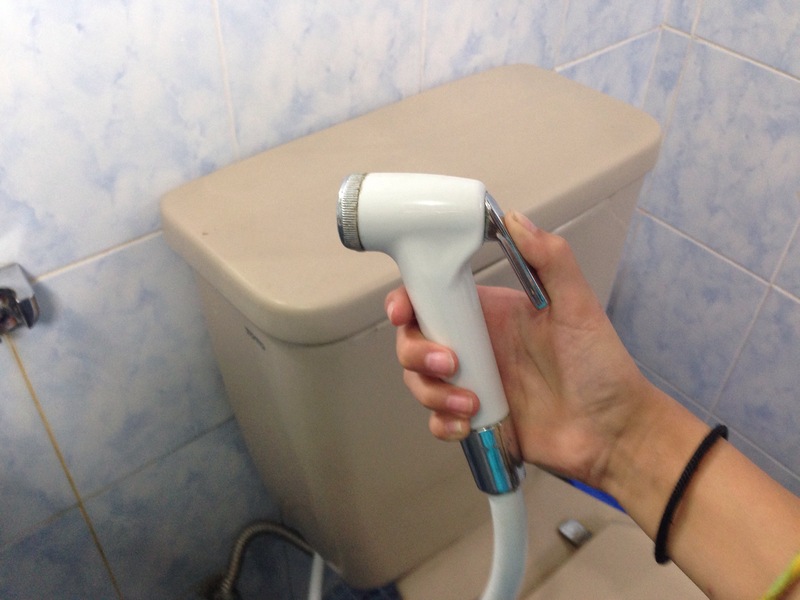 The fourth difference between the U.S. and Indonesia are the bathrooms!😝🚽🚿🛁 So, there are these things I call bum guns. And whenever you go #2 you have to squeeze the lever on the handle and water will come out. Then, you clean your bum with it. It tickles! Also, the water that comes out of the faucet isn’t clean for drinking, so whenever you brush your teeth you have to go to the water dispenser, get a glass of water, and brush your teeth with that. Another different thing about bathrooms are the showers!🚿 Since there is more water pressure in the morning, unless you take showers in the AM you will get C ❄ LD showers every day! Friends, there are so many things to tell you about this place, things you will understand and things that will make no sense. Indonesia is a beautiful country; well, truly I can only speak to the tiny bits I have seen in and between Jakarta and Bandung. Hills covered with houses and terraced gardens or rice paddies separated by jungle gorges with dirty, garbage strewn streams. Lush tropical greenery grows from the earth wherever it can. Things we transplant as tiny annuals at home, like impatiens, and sweet potato vines, grow wild and two feet tall. Banana trees are plentiful. Yet, familiar flowers like hydrangeas and day lillies are also here. I hear birds that remind me of the doves we are used to hearing in Hawaii, roosters crowing and dogs barking all hours, and nearly constant crickets and cicadas. Then there are many sounds we are unfamiliar with, a few we have identified, but so many we have not. Mostly birds and insects, but we hear there are monkeys and haven’t yet figured out if one of the calls belong to them. We are also keenly aware of the five times daily Muslim calls to prayer as we can hear the loudspeakers of a half dozen mosques near our home. We knew there would be bugs, and have not been disappointed! We found a rhino beetle almost the size of a golf ball! A wasp with a body the size of two thirds of my pinkie finger was flying outside our room. Butterflies are all over, I don’t even know how many varieties we have seen: big, little, black with blue, brown and orange, bright orange, all white, and more! Not surprisingly, the caterpillars they come from abound. We keep vigilant watch for ants, small or large, who may be searching for any food crumbs or otherwise trying to invade the house. Geckos are welcome guests in every room to help manage the mosquito population. I think I currently and avoiding scratching ad many mosquito bites as I got in a month or more at home. Paul had some sort of grasshopper land on him in the middle of the night, but it hopped away before we could get a very good look at it. We have seen a number of spiders, one that nightmares are made of who’s body was several inches long and whose legs would have covered my dinner plate. Thankfully we spied him on a walk around the neighborhood, not in the house! Traffic is a totally different animal here! On a road that at home would be a neat and tidy two lane road, one in each direction, here would have two lines of cars in each direction, and four lanes of scooters (motos) weaving in between. As long as you haven’t actually contacted another vehicle, it is all good. When you want to go a certain place or turn across traffic, you just start going and people make space. Drivers are in high alert for all other cars, motos, and pedestrians. Generally traffic is moving slow enough that any collisions are pretty minor. Drivers also must remain vigilant as to road conditions that are extremely varied. Speaking of motos, you would not believe how versatile they are! We have seen families of five riding together. We have seen then used as a delivery vehicle for large floral displays, lumber, long pipes, even a small refrigerator! Ladies often ride dressed nicely for work in their heels, but we have seen people ride in flipflops or barefoot also. Other things are also ubiquitous as we explore the city. There is trash everywhere. Little bits of litter are all over. Piles of trash bags and loose garbage can be found anywhere. It is common to burn trash, so there will often be a smoldering fire alongside the road. Another thing we see all over are mobile carts! I am impressed by the entrepreneurial spirit of the people here. People sell all kinds of foods, drinks, necessities, and knick knacks from mobile carts. Sometimes these carts have put in a foundation and become permanent. Either way, they are everywhere, on major streets, residential areas and alleyways. No matter where you go, some things remain the same! 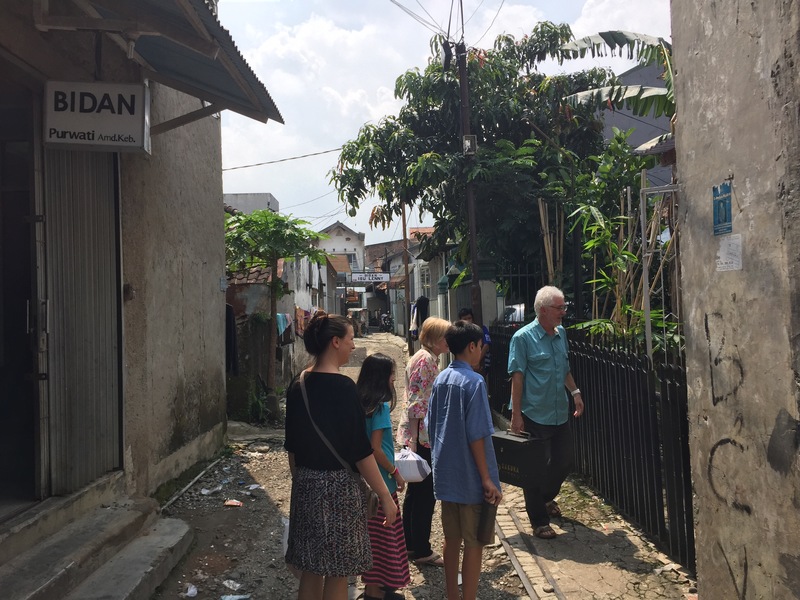 One of the things we are doing while we are here in Bandung is to explore and visit organizations who are working with children that the missionaries here may be able to partner with. Along those lines we had the opportunity to visit a local Christian school one day. I really didn’t know what to expect. 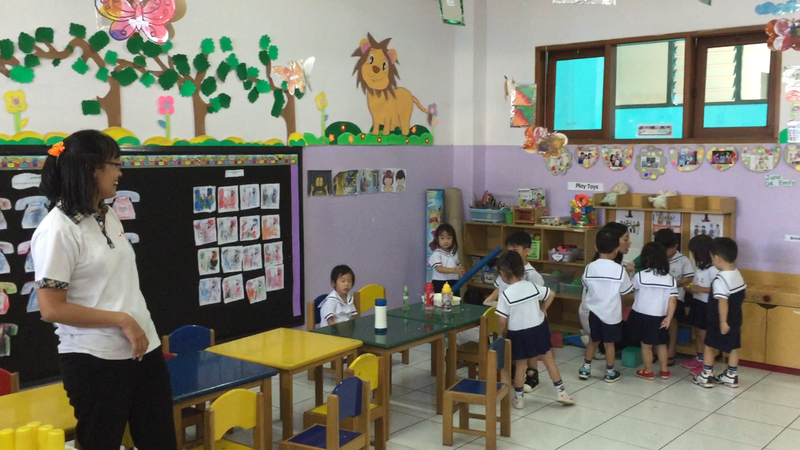 What we found was a beautiful facility, well equipped, organized spectacularly, full of happy kids and teachers. Granted, this is a private school and not a typical neighborhood school, but it was not a place to pity the children at all! We were able to meet with the curriculum director, principal, and vice principal. It thrilled my heart to hear them speak of not only being teachers, but having the privilege to help shape the lives of the next generation of leaders. As we chatted with the administration about their struggles, things sounded so familiar. In the classroom, their concerns were how to help the young ones develop the intrinsic motivation for good behavior and how to incorporate Biblical values into classroom talk and activities. However, the biggest desire they have is for parents that are truly partners with the school as they train this generation. Similar to home, more and more, parents are failing to engage in the training of their children, abdicating this role to TV, electronic devices, and school teachers. Being that the kids at this school primarily come from more affluent homes, this problem is exacerbated by a culture of helpers who work in the home as tutors, maids, and nannies who do most of the “work” of parenting. These awesome administrators even took us out to lunch when we were done talking. They treated us to a traditional style of restaurant where they bring plates and plates of food to the table and you pay for what you eat. Everything was delicious! If you think of it, please pray for the parents of this school to be engaged and inspired to be full participants in the lives of their children and for the teachers to keep the vision of both daily and lifelong impact they have on the kids. 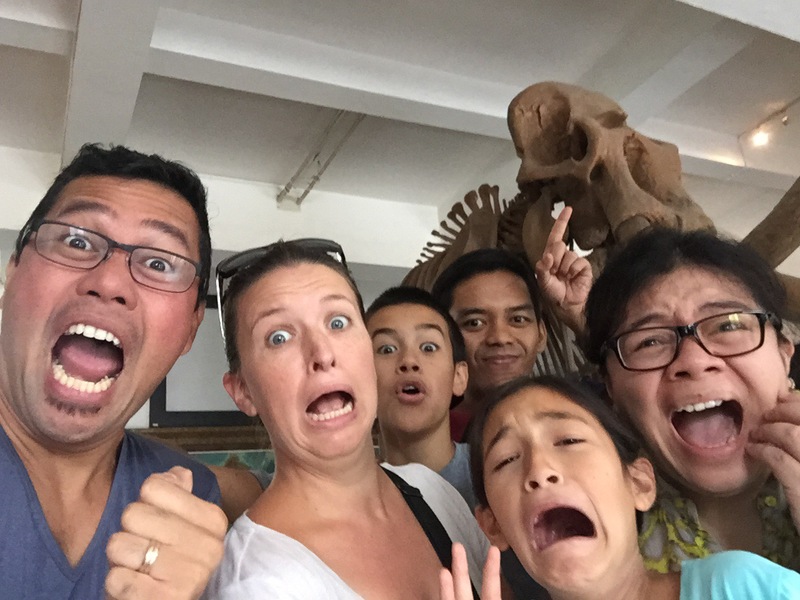 After these first 4 days in Bandung, it is still difficult for me to adequately describe our experiences, thus far. Located in the western part of the island of Java, about 3 hours from Jakarta, Indonesia’s capital. Approximately 2.6M people within a 65 sq. mile area. In contrast, Seattle has about 650K people in a 143 sq. mile area. Bandung is the 3rd largest Indonesian city (by population). The Average Monthly Salary is 2,940,000 Rp. This is roughly $224 or what many of us spend on Cable, Internet, and Cell bills. Click here if you’re curious to see more cost of living info. 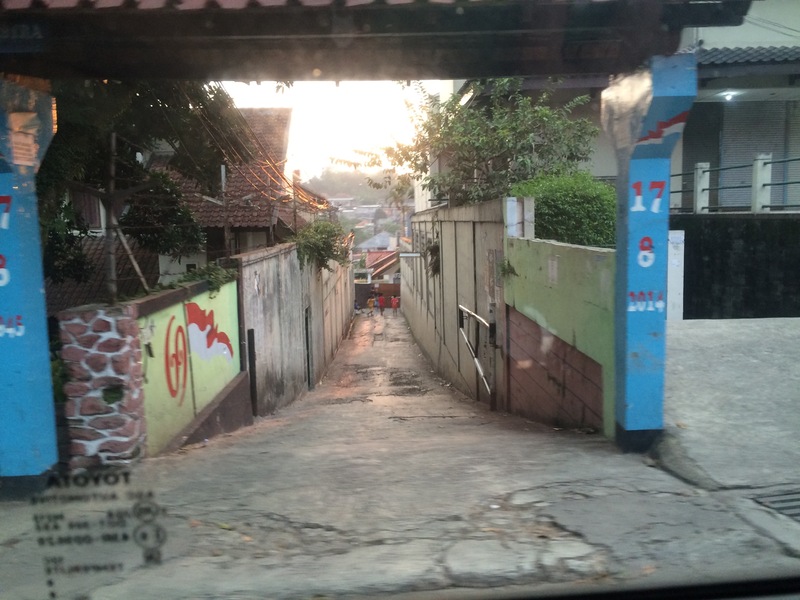 The majority of the people in Bandung are Sundanese. For those that are more visual, we recently found this guy named Kyle Le on YouTube. He primarily blogs about Vietnam (and food! ), but he recently spent a couple days in Bandung. Check out this vid: Indonesia Shopping and Street Food in Bandung City. What you see in Kyle’s video is pretty accurate in terms of the general chaos (by American standards) that exists in the city streets. Signs of varying size, shape, quality, and state of disrepair advertise everything from the familiar (Ace Hardware, KFC, and Pizza Hut), to the unfamiliar (innumerable food carts occupy every available inch of ground; even blocking larger, more established shops), to the unusual (DMV? No problem! Just buy your custom-made license plate on the side of the street). No license plate? No problem! This visual cacophony is eclipsed only by the aural cacophony created by the way-too-many cars, motorcycles, minibuses, and people on the road at any given time. The ever-present hum of engines, brakes, and horns are akin to TEN Times Squares. To simply say, however, that the roads are really loud would do this daily motor-ballet a serious injustice. Our host, Wally, says that traffic laws around here (heck, even traffic lanes for that matter) are little more than “guidelines.” Ultimately, the social contract between motorists and pedestrians alike is that it is acceptable to do whatever ever it takes to get from Point A to Point B as long as you agree to constantly watch out for the safety of your fellow travelers. Everyone must be present, aware, and very much in the moment to ensure that major road catastrophes are avoided. There’s something really beautiful about that dynamic to me. It’s hard to imagine anyone doing that zoned-out, zombie thing during rush hour around here like I’ve done more than a few times while slogging through I-405 commutes. Speaking of those motorcycles/scooters, I’m not only struck by how many there are on the road at any given time, but also by how many people can ride together on a single machine. One rider is the norm, two riders are common, three or more riders are far from unusual. 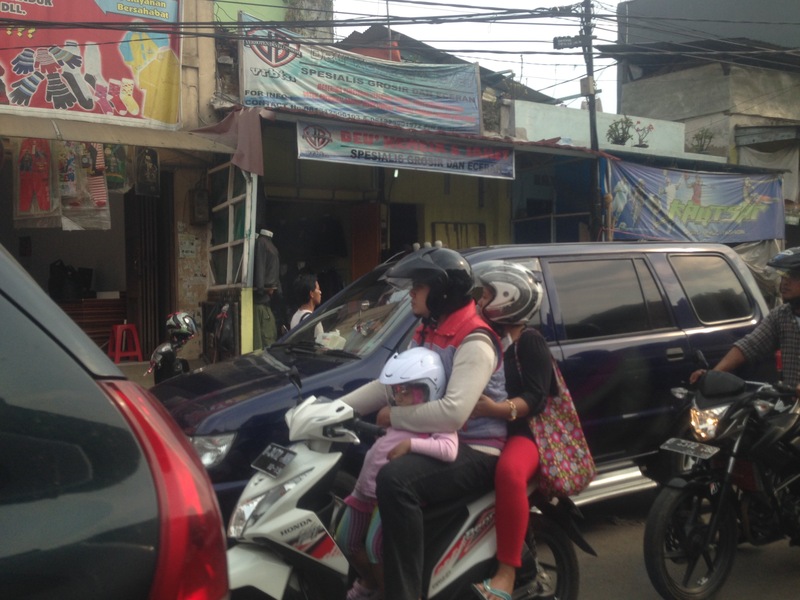 We often see entire families on a single motorcycle weaving in and out of traffic. I tried to convince Laura that we could save a ton of money by taking a similar approach back home; she was having none of it (shocking!). Family of 3 on one moto/scooter. The daughter is not only precariously perched, but very asleep. The food here has been incredible, so far. We haven’t been too adventurous, yet, but it’s not like we’ve actively shied away from anything either. We’re all fans of what the locals deem staples here–Nasi Goreng (fried rice), Mie Goreng (fried noodles), Bubur Ayam (rice porridge with chicken), and Nasi Udok (rice with coconut milk)–and we’re just getting started. 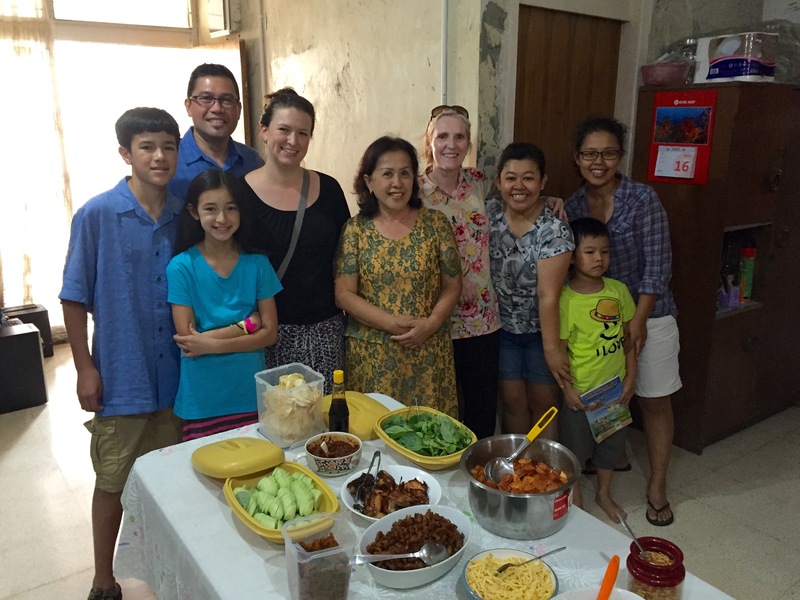 We even had a special treat today, as we were invited to have Lunch in the family home of Ibu Josie for a special meal, called Tumpeng. We were gathering to celebrate Josie and her mother’s safe return after 3 weeks of traveling in France and The Netherlands. Above and beyond the great food, however, was the hospitality shown by Josie, her family, and her friends. We laughed often and the general ease of our hosts reminded me of parties with my own family back home (sans ukuleles and endless singing, of course). Definitely my kind of people! Ibu Josie (3rd from right); Josie’s Mother (Center); Partof the feast (Foreground). The rest of the party is off-camera. I realize that this blog post has been long and somewhat meandering. So, I’ll wrap things up by quickly commenting on the people. The majority of the locals whom we’ve met have been extraordinarily warm and friendly. From the people in random nooks and crannies of the narrow neighborhood alley ways, to the chain store employees, to the parking lot attendants and unofficial traffic “facilitators,” to the guys at the coffee shop who knew less English than I know Indonesian, to Ibu Josie and her family, everyone has been genuinely excited about the fact that we’re here from half a world away to learn about them, their culture, and their city. While I still am far from certain how the coming weeks in Indonesia will unfold, I am definitely excited by the possibilities. Here’s hoping that as we learn more, we’ll be able to find a way to help and serve as well. Hey guys, guess where we are now?! Indonesia! We are staying with some friends and the house is amazing, I have my own room with a huge loft! When we got to SeaTac airport, and we boarded our first flight. It was a 12 hour flight to Taipei, where we had a four hour layover until our next flight to Jakarta for five hours. While we were in Taipei, we had a meal that of consisted of dumplings and beef soup. 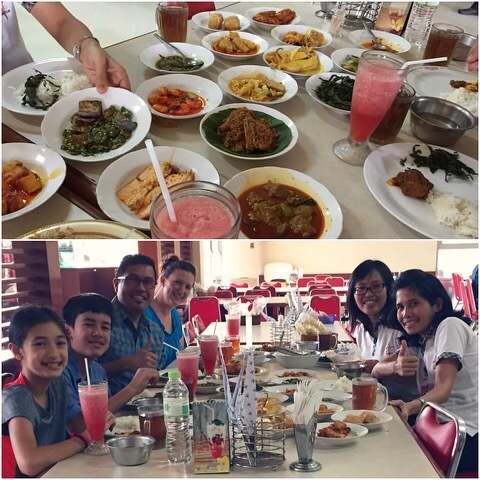 While we were in the restaurant we met some people that were headed to Bandung to do missionary work! After the meal we passed the gates in the airport and they were all themed! There was even a Hello Kitty gate and our gate was dedicated to sports! 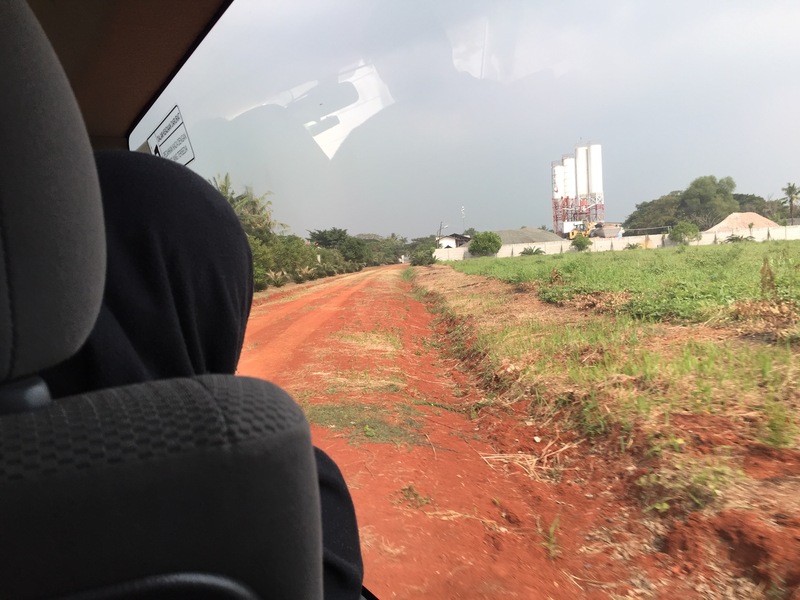 When we arrived in Jakarta, we were greeted by some friends who sped us past customs and immigration in a fraction of the time it usually takes. After we got out we found the friends we are staying with, and left for home away from home in Bandung. I missed 90% of the ride home because I was asleep for it. 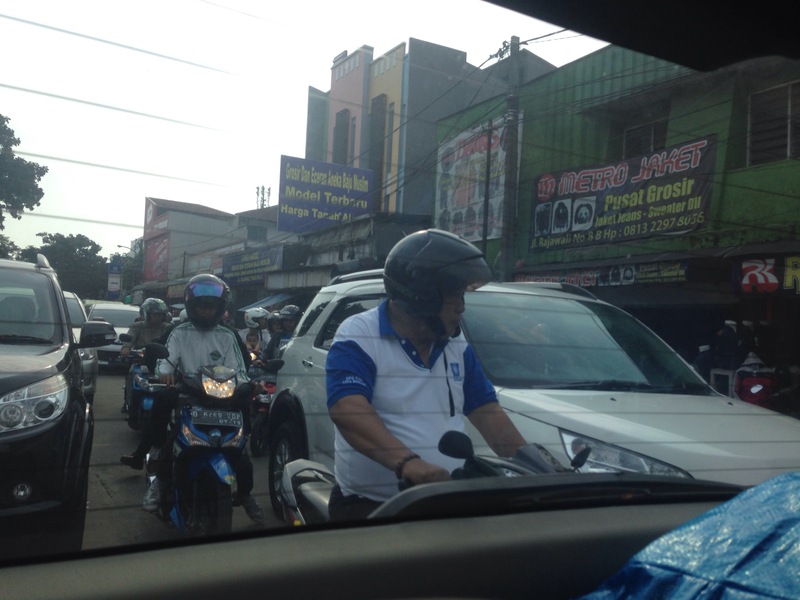 For the parts that I was awake for was with very crowded roads, with cars within inches of each other and motorcycles still weaving in and out of traffic. When we got back, I was so tired that I had dinner and just went straight to bed. We went to a very cool store where we got our groceries for the next few weeks. 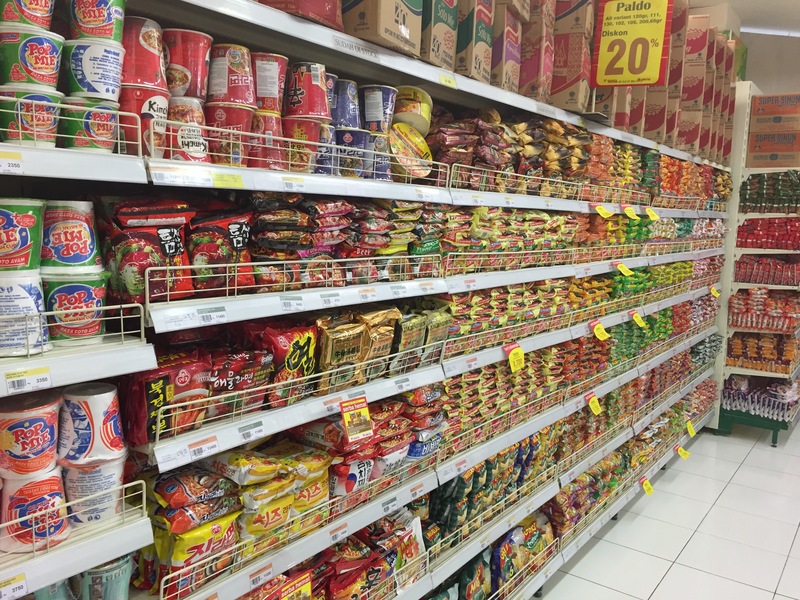 Rows and rows of noodles! When we got back, we had lunch and then I did my school for the day on my bed. After that we decided to go to dinner, but an unexpected guest arrived, so we got takeout instead. The takeout was stuff like Nasi Goreng (Fried Rice) and Mie Tek Tek (Fried Noodles). While we were waiting for our food, we also watched a hilarious video named Flute 20th Century Fox. When I woke up I spent a bit of time reading and texting friends back home. After I got out of bed, we had breakfast with the new groceries and it was very good. I worked on my school workbook and then had a very nice lunch that was made by the helper. We met some friends of our friends and they invited K and I to the pool! It was really fun, since there was a high dive that was maybe 12 feet off the water, and we used it a ton! When we got back, I took a quick nap (still dealing with jet lag), got up and went to dinner just down the road. When we for back, I flopped down and wrote the blog you are reading now! So far, the first three days traveling! My next post will be about our first walk from our neighborhood to the city center. It was a great experience!